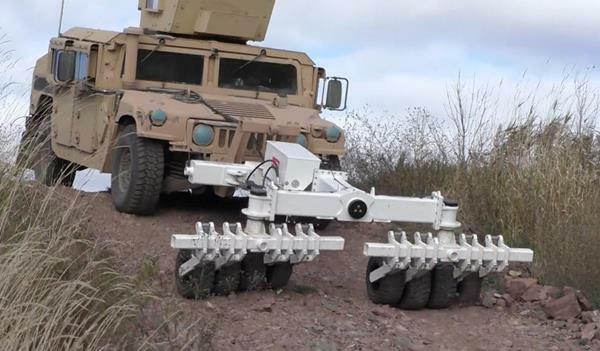 CHARLESTON, S.C., June 13, 2016 (GLOBE NEWSWIRE) — Critical Solutions International (CSI), in partnership with Humanistic Robotics Inc. (HRI), announced today the award of a contract to supply the Afghan National Army (ANA) with 464 mine rollers and associated operation and maintenance training. The contract will be managed through U.S. Army Tank and Automotive Command (TACOM) Non-Standard Equipment Office. These systems will bolster the ANA’s mine and IED clearance capability and enhance freedom of maneuver across the battlefield. CSI is a leader in the development, systems integration, and support of blast-protected vehicles and counter IED payloads. The centerpiece of CSI’s capabilities is the Husky, which, in addition to the U.S. military, is fielded by militaries around the world including Australia, Canada, Kenya, Iraq, Spain, South Africa and Turkey.